Dr. Henry H. Miller was born in Alliance, Ohio, on May 4, 1850. He set up his medical practice in Rossville, Kansas, in June 1872. Until his death on May 1, 1916, he devoted his life to medicine. 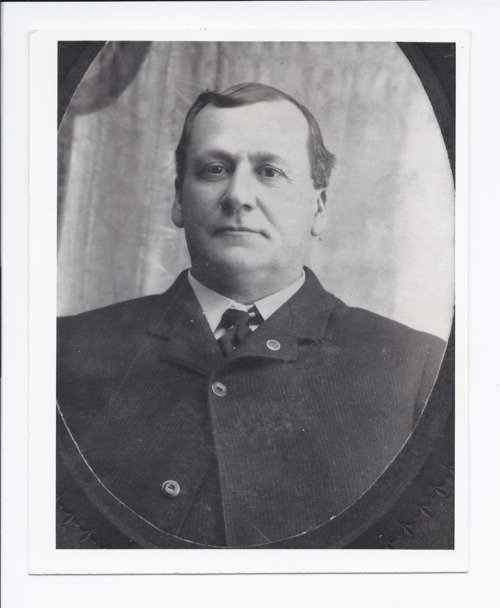 He also was elected the first mayor of Rossville in 1881 and was one of the organizers of the Peoples State Bank and the Rossville State Bank. In 1968, Mr. and Mrs. Clyde Miller gave the doctor's building site for the Rossville Community Library in memory of his grandfather, Dr. H.H. Miller, and his uncle, Dr. Henry B. Miller. This photograph is provided through a pilot project to host unique cultural heritage materials from local libraries on Kansas Memory and was accomplished by mutual agreement between the Northeast Kansas Library System, the Rossville Community Library, and the Kansas Historical Society.